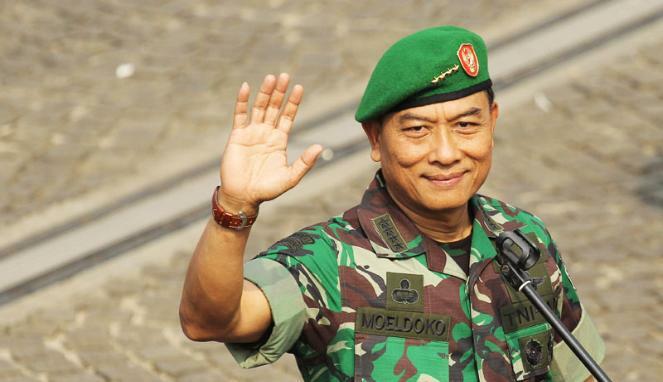 Overall, Moeldoko will be good for TNI–ADF relations and for Australia. His commitment to professionalism and soldier welfare make him a positive figure and role model of a post-reformasiTNI. Moeldoko’s current counterpart, Australia’s Chief of Army Lieutenant General David Morrison, is also committed to improving military professional culture—which suggests some natural complementarity in future ADF cooperation with Indonesia’s forces. Despite occasional incidents like the Cebongan case that impair TNI’s image, Moeldoko seems quite serious about its future. A more professional TNI is always going to be more palatable for the broader Australian polity in Australia–Indonesia relations. And perhaps figures like General Moeldoko can help shift outdated Australian perceptions of TNI in the process. This entry was posted in Indonesia, TNI and tagged Indonesia, TNI by Natalie Sambhi. Bookmark the permalink.